Still, Hedy Delaney loves her family, and she’s trying to make the best of her new life on a U.S. airbase in England. After all, her dad’s a war hero, her mother’s a beauty, and her brother’s a brainiac who writes stories about space travel. Then one tragic day, the unforeseen occurs and all three are ripped away, leaving Hedy alone with countless questions. What really happened on the airbase? What went on behind military closed doors? What were the secrets that could never be told? And how could any of it have led to her family’s destruction? 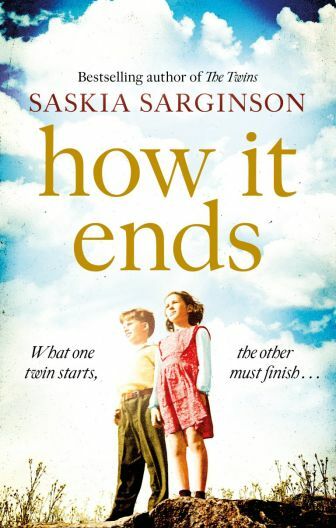 A sweeping and turbulent family drama, How It Ends asks whether writing fiction can uncover fact, and if it’s ever better to let the truth remain hidden. Sometimes, it’s safer not to finish what you’ve started. PAPERBACK OUT MAY 2nd 2019.